Here's the latest #PortraitChallenge over at @StudioTeaBreak on Twitter. Here's the original photo, on Wikipedia, but an unknown photographer. 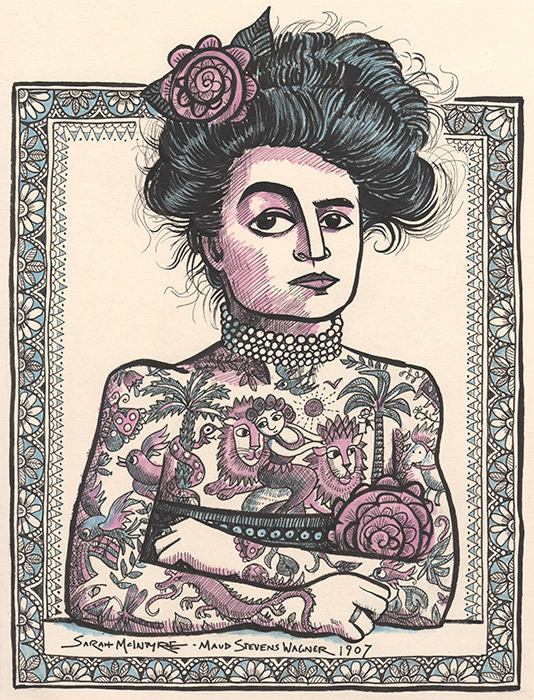 Maud Wagner was a circus performer and the first known woman tattoo artist in America. 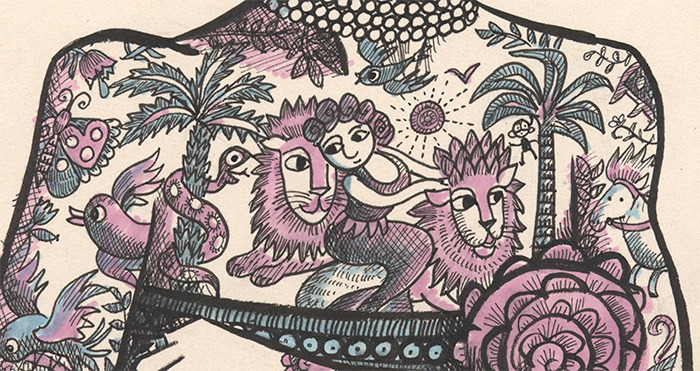 The tattoos are as fun to draw as Maud. Check out other people's drawings, there are some great and varied interpretations over there, including one drawn (appropriately) on someone's arm! Here are a few; click on the pictures to go to the original posts.